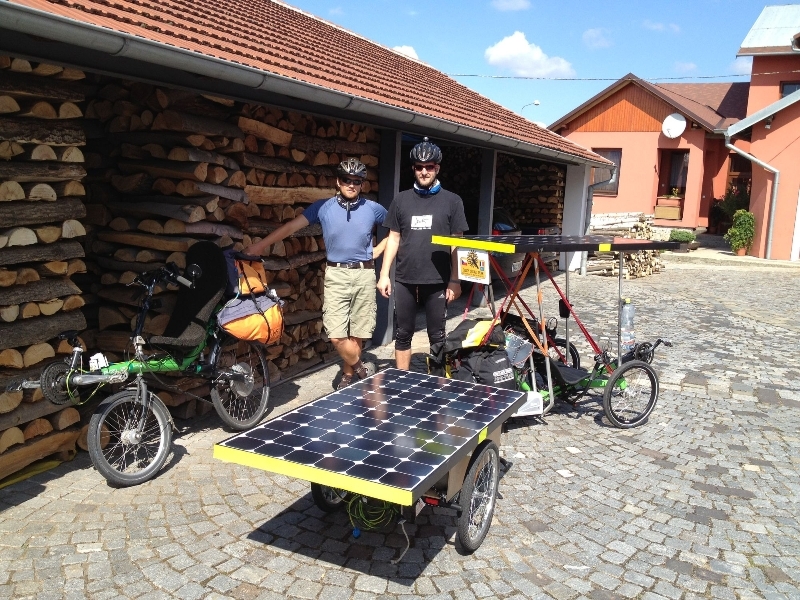 The Sun Trip: A bicycle, an electric motor, a battery, a solar panel and a world that can run differently. On July 15th, 2013 an adventure ride of solar electric bikes called The Sun Trip will start from Chámbery, France and will finish after many weeks in Astana, Kazakhstan. The purpose of the adventure is to let the world know about the new possibilities in solar electric bike/trike transportation.